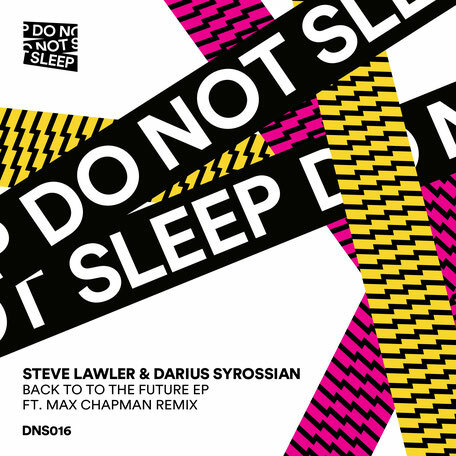 This month will see Steve Lawler and Darius Syrossian join forces for the ‘Back To The Future’ EP, with Max Chapman stepping up for remix duties. The original mix of title-track, ‘Back To The Future’ opens with organic drum grooves, echoing vocal murmurs and soaring vocal phrases while the duo stir in tension building strings and choppy bass hits to kick off the EP. ‘We Like To Jam’ follows, shifting the focus over to shuffling snares and a hooky arpeggio bass lead as resonant synth bleeps, howling atmospherics and vocal shots gradually unfold throughout the composition. Resonance founder Max Chapman then closes the release with his take on ‘Back To The Future’, delivering a more reduced take on things via pulsating subs, stripped-back drums and looped vocal refrains from the original. It’s out 3 November on Do Not Sleep.